Great Princess Cruise, Great Customer Service! 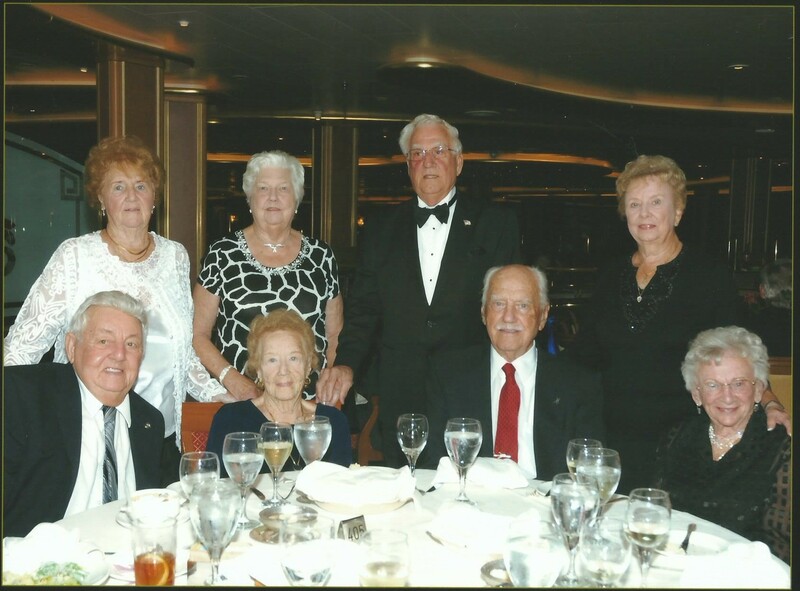 I just had to tell you what a great cruise we had. 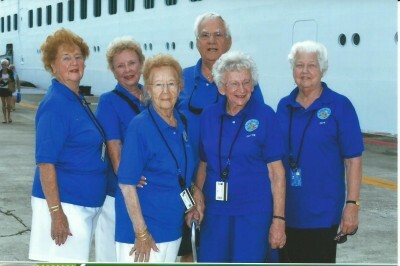 The staff was the best we have ever had on a cruise (35 cruises). The Head Waiter was at our table every night, not once, but several times as did other Head Waiters at breakfast and in the Horizon Court. The waiters and assistant waiters were the best. No request was to small. Anything we requested was delivered. The birthday cakes were the best we have ever had. Thanks so much for all that you did for us. Getting the credit, military credit, Asti Spamanti, soft drinks, etc. were very appreciated by all of us. We like the ports as they were some we had not visited before (Antigua, St. Kitts, St. Lucia). The only negative that we encountered was that there was no transportation (golf carts) to transport those who could not walk that far to the terminal in the ports. The only port that offered a shuttle was Nassau and there were three ships in which limited what they could do as there was only one shuttle. Thanks again for all you did to make our trip very memorable. 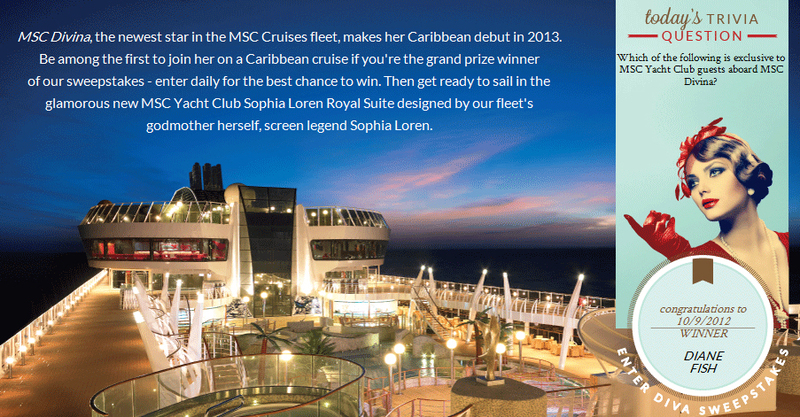 Win a Cruise on MSC! Monday, Royal Caribbean will start its 3 day sale. This is what you have been waiting for and you have to call on Monday, Tuesday, or Wednesday Oct 15th through Oct Oct 17th. You will receive on board credit to use on your cruise to buy what ever you would like, and the Deposits are reduced so you don’t have to come up with such a large initial cash deposit as usual. See the brochure for all the details, then call The Cruise Experts at (866) 968-2789, email us at info at thecruisexperts.com or visit our website at www.TheCruiseXperts.com. Remember, what you see online are general pricing options, so you need to call us so we can find specific fare codes that may be less than what you see online. We will find you the best deal for sure! Flyer >3 Day Wow Sale! 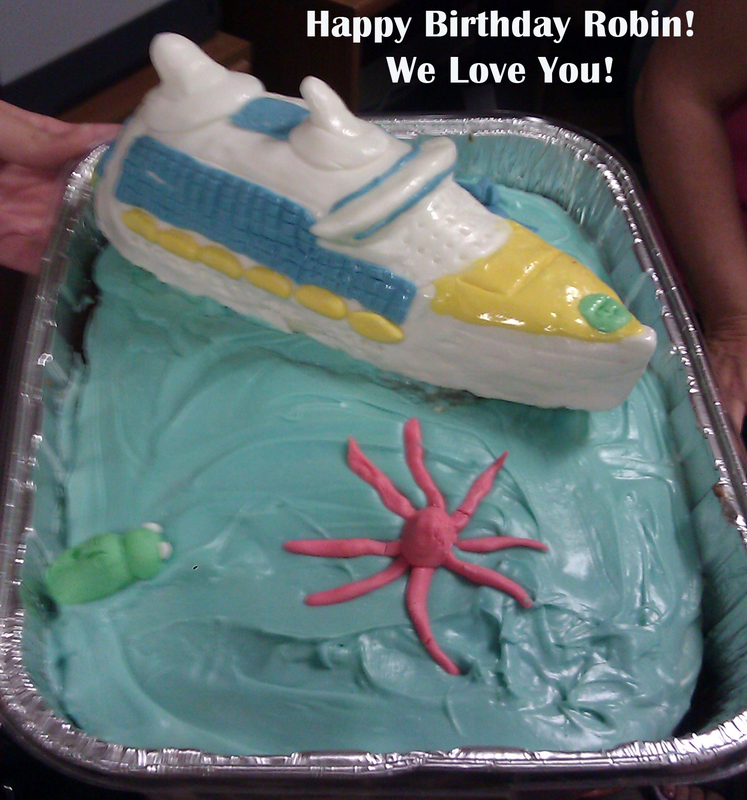 Thanks Meriah for making this awesome birthday cake. Robin’s favorite ship, The Freedom of the Seas turned out great! Happy Birthday Robin – We hope you have a great birthday and appreciate you so much! You are the best! You are “The” Cruise Expert. Cruise Passengers Get Prison for skipping out on bill. I was under the impression that this could not happen, since the cruise lines either get an approved credit card or will take cash during the boarding procedure. It appears that they got on the ship in Florida and then got off in St Johns, like they were going on an excursion, and then never got back on. It happened at least 3 different times and on 3 different cruise lines, so they must have really loaded up on expensive stuff, got off on St John, then flew back to Florida to do it again. There are no other details given in the story, so I am not really sure how they were able to charge on their ship board account once they went over the amount of cash that was deposited. Maybe they used some kind of bogus credit card? Just not sure. Cruise Specials We Are Offering Now! Check these out before they are gone. We have other good deals also, if these dates don’t work for you. 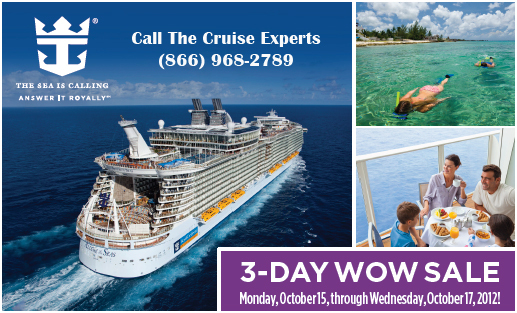 Call The Cruise Experts at (866) 968-2789. Check back often because we will be adding new links to other great deals as we find them. These are the current groups that we are promoting. If we can book you into one of our current group promotions, then you will get on board credit to spend any way you like on the ship. If you start a group, as the Group Leader you will get a rebate by promoting the group to friends and family, we will promote is as well because our customers get on board credit and you get a big fat rebate. The more people that join your group, the bigger your rebate!